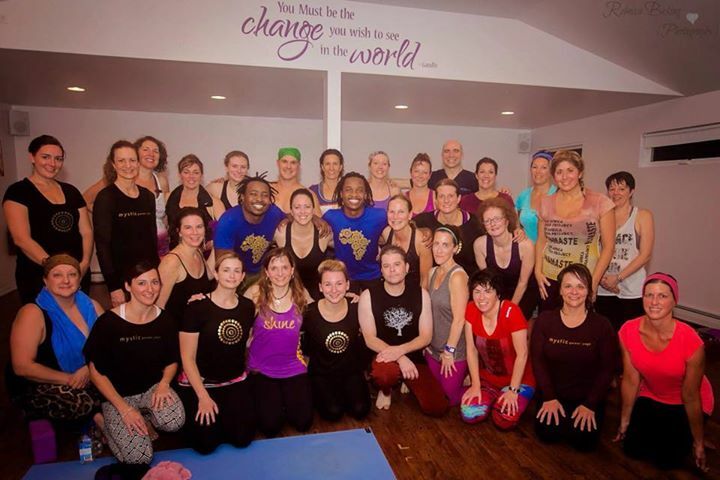 I was blessed enough to be a part of the Handstand, Hugs, and Highways Tour 2014 with Baptiste affiliate studio, Mystic Power Yoga. My life has been forever changed and I can’t even begin to explain to all of you how. Nonetheless, I will try my best to share with you what has been shared with me. When I walked into the Mystic Studio I could feel the excitement in the air. 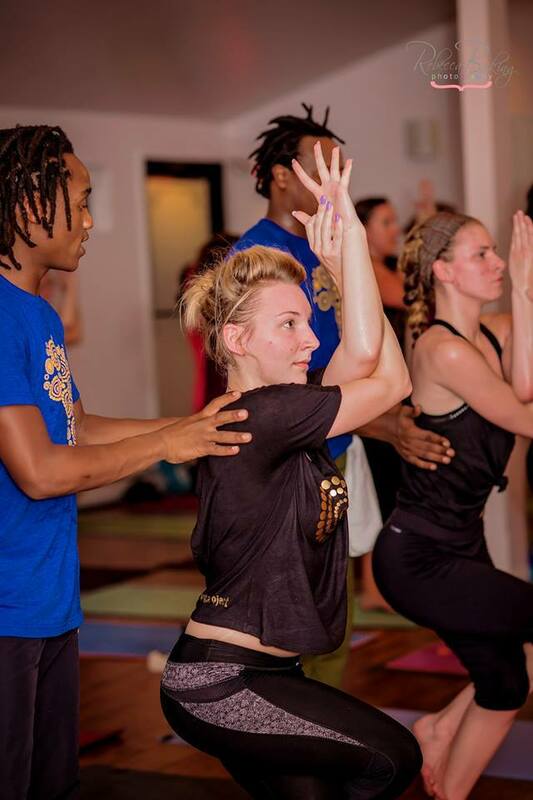 I could sense the curiosity of my fellow yogis as the looks on some of their faces was unsure what they were really about to experience. I could see how some were just ready for a good sweaty yoga class. By the end of the two and a half hour experience, everyone was glowing, rid of whatever expression crossed their faces just hours before. Let me share with you my perception of his beautiful night. 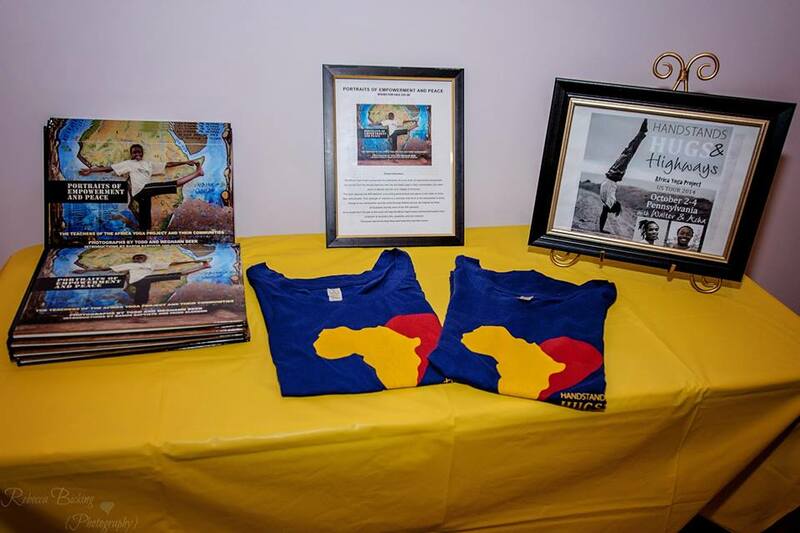 Walter and Acha are two young men from Kenya who participate in a program called the African Yoga Project. What it does, is it creates jobs for people in Kenya so they do not have to resort to stealing, prostitution, and other crimes to take care of themselves and their families. When I heard Acha and Walters’ stories of living on the streets, drug use, and theft, my heart broke. I could tell that they both really didn’t want that life – that was the life they were practically forced to live. They both described a hopelessness that they felt during those times in their lives. Just like most of us, they struggled to find hope, peace, and acceptance in life. 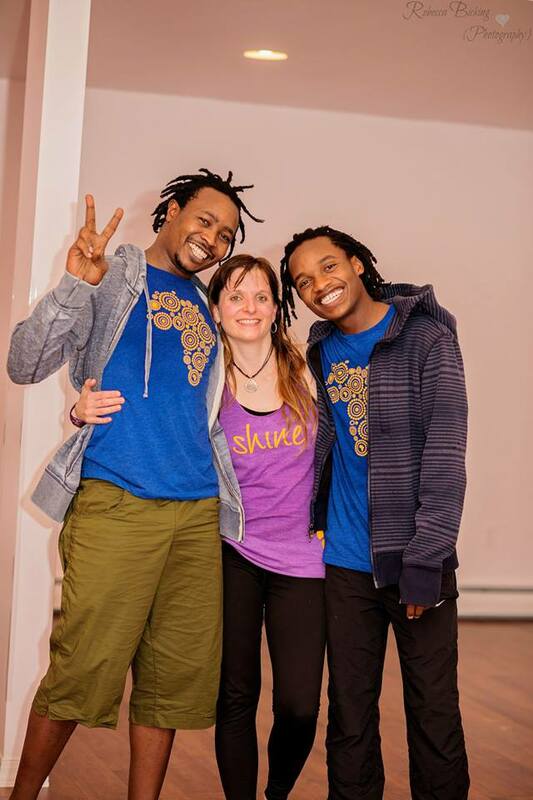 They were both introduced to yoga in Kenya and that’s where they began to change their lives. 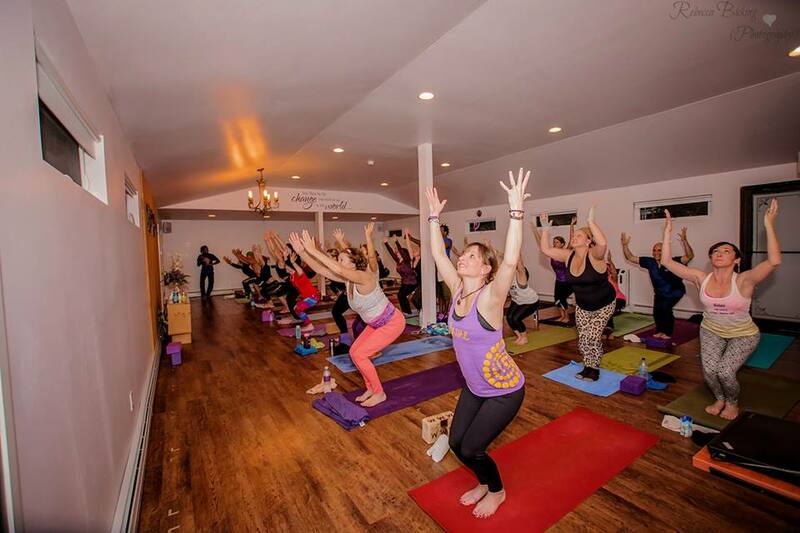 By finding inner peace through yoga, they have been able to travel the world and teach so many people not only their incredible story, but the gift of yoga. I have never been more challenged in a yoga class like I was with Acha and Walter. Physically, it was the most demanding class I’ve participated in and mentally and emotionally, the most rewarding. What I have learned from them is a priceless lesson, and that is, we are all connected. We are all one. They taught me to give something as simple as a smile can change someone’s day.They showed me to share a bit of sweat, growth, and energy is probably the best thing for the soul. They opened my eyes. They opened my eyes to what’s really going on in the world around us. They opened my heart and showed me how to love and care about strangers. They opened my mind to all of the amazing possibilities life can bring. They gave me something I can never thank them enough for – hope. As this all comes full circle, they gave me hope after receiving hope themselves. Now I feel my mission is to share that hope with all of you. I feel like I’m so blessed and I take many of those blessings for granted every day. After catching a glimpse of what life is like for people in Kenya, I now understand a little bit more how amazingly wonderful and blessed my life really is. 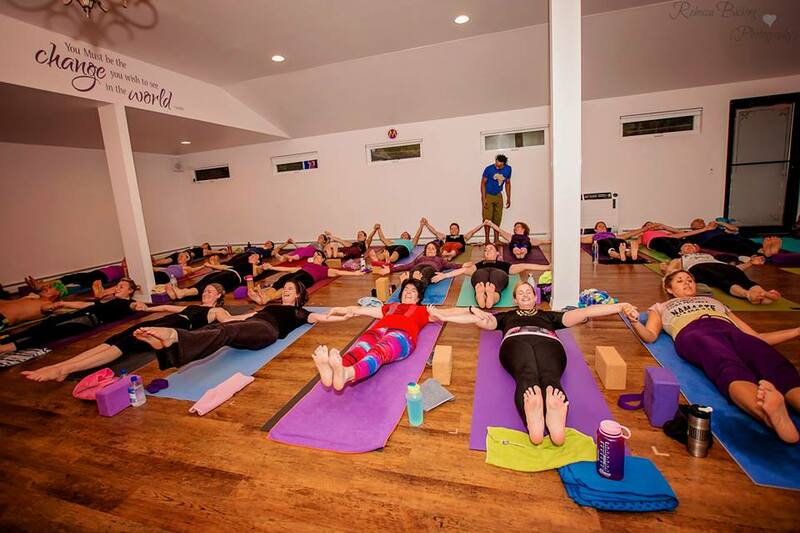 I received many messages from this yoga class, one of which being to let yourself GROW. Growth is essential for change. It may hurt, but it’s worth it. Another message I took from this experience is to accept yourself for yourself, your past and everything that makes you an individual. In turn, accept other for who they are as well. The last valuable lessons I learned from this class that I wish to share with you at this time, is to love. We are all connected – we are all one. There is not one soul more valuable than another. We are all equal and individually beautiful. 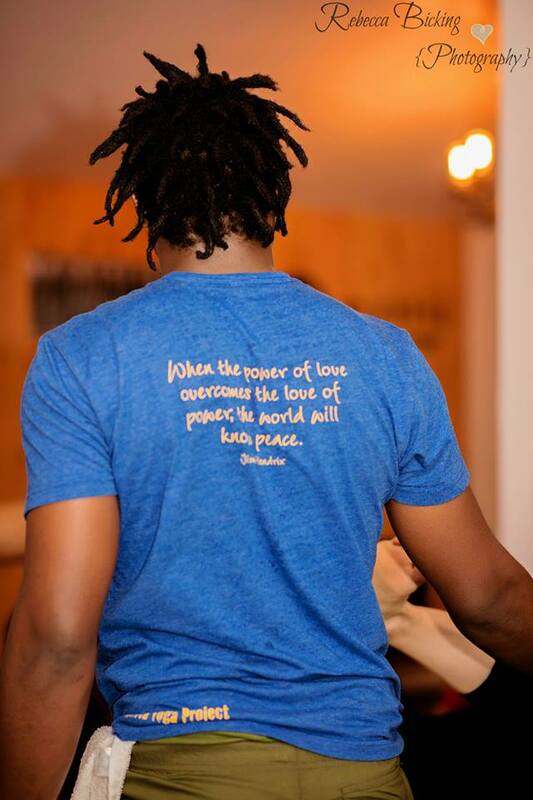 Give to the world – give your love to the world and the world will give you love back. Although we are all different, our hearts all beat the same. Thank you to Walter, Acha, and my yoga teacher Michele for making this all possible. Thanks for sharing this remarkable experience.